Q: Kimi, you’ve never won at Monza. Isn’t it about time? What are the chances tomorrow? 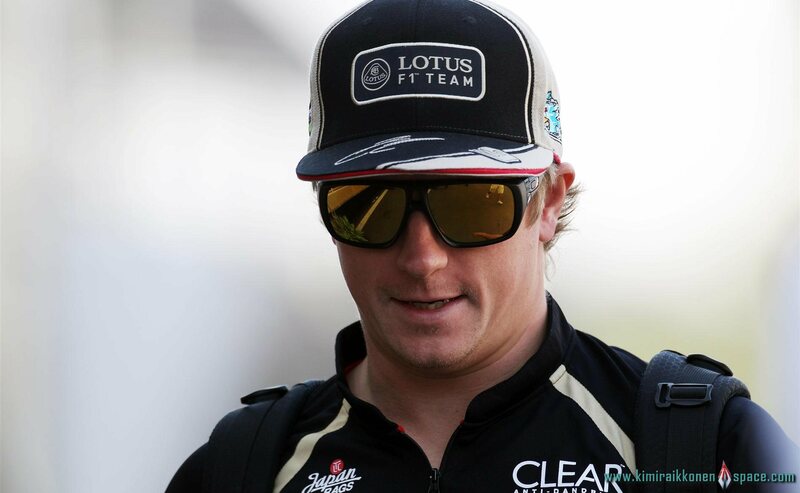 Kimi Raikkonen: Well, I have been fast here many times, but then funnily something always happened. (laughs) So let’s hope that we give ourselves a chance tomorrow. Q: What would you sacrifice to win the race – black in front of a sea of red? KR: We don’t sacrifice anything. We are just doing our best. Of course we want to win and we will do anything possible to get there. We have to be smart. Q: What does being smart mean? KR: To get the best out of what we have? Q: You start from the fourth row tomorrow. What does that mean here in Monza? KR: Well, it’s no secret if I say that it is not the best possible place to start, but that is where we ended up after two days so it is all about making a good start and getting through the first chicane without any issue. (laughs) Then I am sure that we can fight for a podium. Q: There is a lot of talk about the Spa start. This sort of start accident has happened many times before, so why so much fuss now? KR: I have no idea. I was not involved in the issue so ask the people who were. I have nothing to say about it. Q: But the consequence is that now everybody is talking about closed cockpits? Do you have an opinion on that? KR: I think this sport is dangerous and if you are not happy to take the risk then you should do something else. I am sure there are plenty of drivers who are willing to take the risk driving a Formula One car as it is now. KR: We need a bit stronger package if we want to win, but yes, we are still in it. One race can change the whole situation in your favour. We are not yet as fast as we would like, so be sure that I will do my best tomorrow. Q: What do you mean by a stronger package? What does it include? The car, the aero, and the driver? KR: Everything has to get better. We need more speed, more downforce… then we will see. Q: You and the team seem to hit it off. Will you carry on into 2013? Q: Other teams desperate for results have no doubt been knocking on your door. What – and who – could lure you away? A bigger team with limitless resources? A bigger salary? KR: I have no interest in talking about those things because one word about it would get hyped into many half true stories, so I’ll keep it to myself. Q: What about a return to Ferrari? Are you ready to swap black for red? KR: Same answer as before. Q: Watching you stroll through the paddock, you seem to be so laidback. Are you now beyond the huge ambitions that seem to be the name of the game for so many other drivers? KR: I am just who I am. I don’t have to pretend to be somebody else. I do my own thing and I am happy with what I am doing. Q: What’s still the best thing about being a Formula One driver? KR: For sure not talking to the media. I am not a big fan of b*llsh*t questions. Q: So what kind of questions are you happy to answer? Q: So let’s get back to the usual driver question after qualifying – where do you see yourself finishing the race? KR: Hopefully we have a stronger package than the guys in front of me. It is a long race. Doing a good first lap will be crucial. Q: Who is the logical winner for you? Kimi is quite angry because renault engine no good these days. This interview should go into top10 archive, epic!! !